What is an Apodosis (or Leavetaking)? The the apodosis (also called leavetaking) is the final day a feast is celebrated in the Church. On the apodosis, most elements of the festal services are appointed to be served again. An afterfeast is a period of time following certain major feasts of the Christian year during which the feast continues to be celebrated. The liturgical life of the Church reflects this extended celebration by continuing to express the themes of the feast in the divine services celebrated during the afterfeast. The Holy Spirit worked powerfully through his faith, enabling him to perform many miracles and always defeat those who would dispute with him. 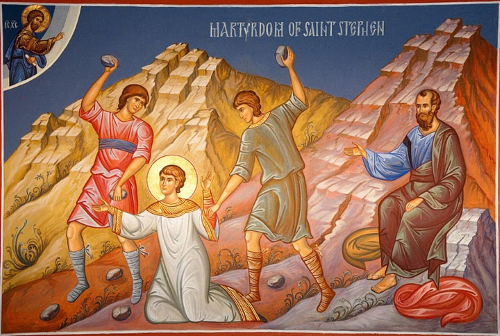 The Jews in their hatred of St. Stephen lied about him to the people, but St. Stephen with his face illumined reminded the people of the miracles God had worked through him and even rebuked the Jews for killing the innocent Christ. The people were enraged by what they thought was blasphemy and ‘gnashed their teeth’ at Stephen. It was then that he saw his Christ in the heavens and declared it so. Hearing this, they took him outside the city and stoned him to death, with his kinsman Saul (later St. Paul) holding their coats while they did it. Afar off on a hill was the Virgin Mary and St. John the Theologian who witnessed this first martyrdom for the Son of God and prayed for him while he was being stoned. This occurred about a year after the first Pentecost. Basil was born about 330 at Caesarea in Cappadocia. While still a child, the family moved to Pontus; but he soon returned to Cappadocia to live with his mother’s relations, and seems to have been brought up by his grandmother Macrina. Eager to learn, he went to Constantinople and spent four or five years there and at Athens, where he had the future emperor Julian for a fellow student and became friends with Gregory the Theologian. It was at Athens that he seriously began to think of religion, and resolved to seek out the most famous hermit saints in Syria and Arabia, in order to learn from them how to attain enthusiastic piety and how to keep his body under submission by asceticism. After this we find him at the head of a convent near Arnesi in Pontus, in which his mother Emily, now a widow, his sister Macrina and several other ladies, gave themselves to a pious life of prayer and charitable works. 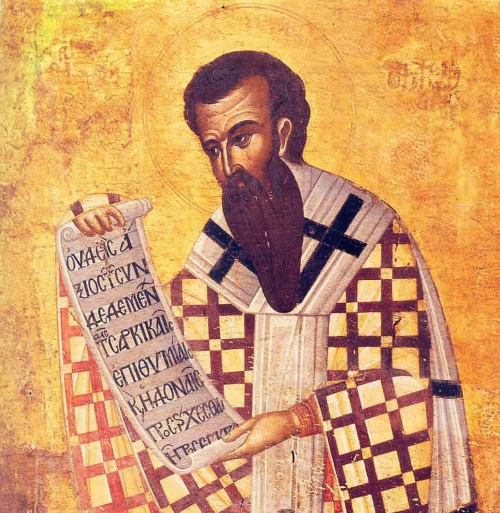 Basil sided with those who overcame the aversion to the homoousios in common opposition to Arianism, thus drawing nearer to Saint Athanasius the Great. He was ordained presbyter of the Church at Caesarea in 365, and his ordination was probably the result of the entreaties of his ecclesiastical superiors, who wished to use his talents against the Arians, who were numerous in that part of the country and were favoured by the Arian emperor, Valens, who then reigned in Constantinople. Read St. Basil’s full biography on the Orthodoxwiki website. Classes will be suspended during the Nativity and Theophany Season and resume in early January. 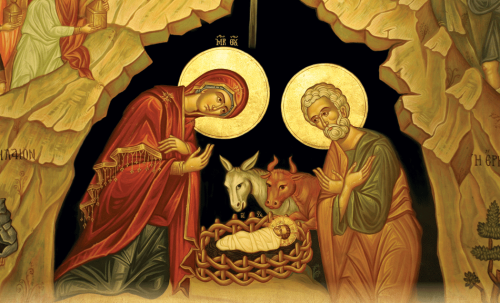 Because we are Orthodox, and the entire Orthodox Christian life begins with the worship of God. In worship we find the well of living water that nourishes our soul and gives us life, and that we take into every corner of our lives outside of the Church. Another reason is that when we honor the Saints we invite them to be present with us. Above all let us be convinced that nothing can happen to us apart from the providence of God. The demons want us to enter into dialogue with them We must do everything we can to avoid this. The only way to do this is to totally ignore all their suggestions, to not pay them any attention. Nothing is so conducive to unity as rejoicing about the same things and holding to the same purpose. We must struggle, because without struggles we do not obtain virtues. All those on earth worship thee and sing unto Thee: Alleluia to God, O all the earth. 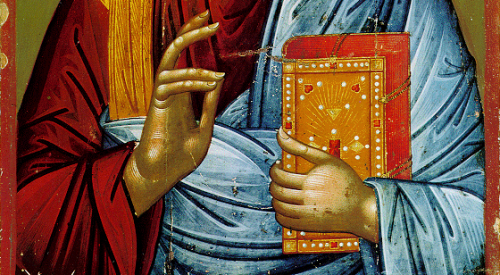 The beginning of the Gospel of Jesus Christ, the Son of God. As it is written in the prophets, “Behold, I send My messenger before Thy face, who shall prepare Thy way; the voice of one crying in the wilderness: Prepare the way of the Lord, make His paths straight.” John the Baptizer appeared in the wilderness, preaching a baptism of repentance for the forgiveness of sins.